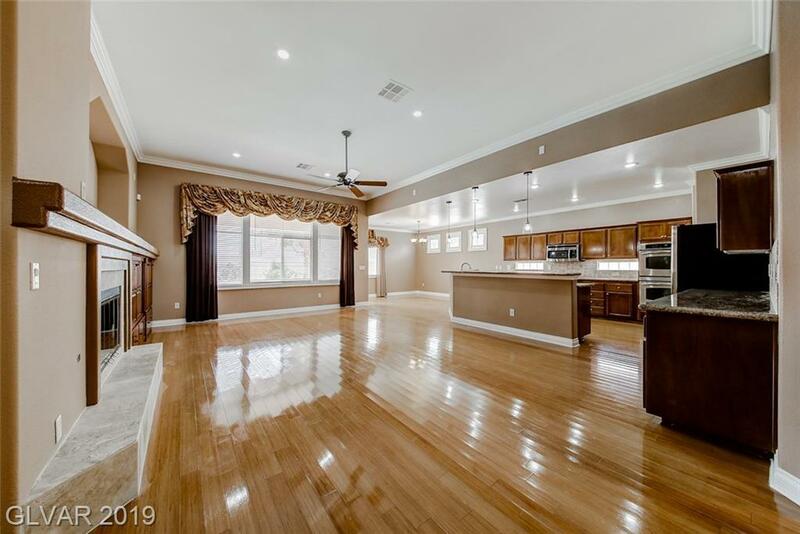 This former model is located in the heart of Summerlin.Gorgeous open floor plan retreat with endless upgrades including granite countertops, beautiful hardwood & travertine flooring, marble stones in master bath. 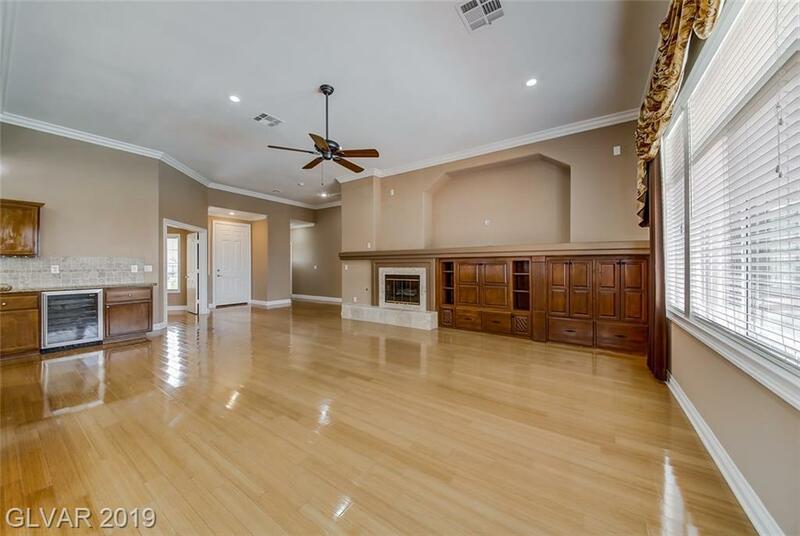 Crown molding through-out the entire house. 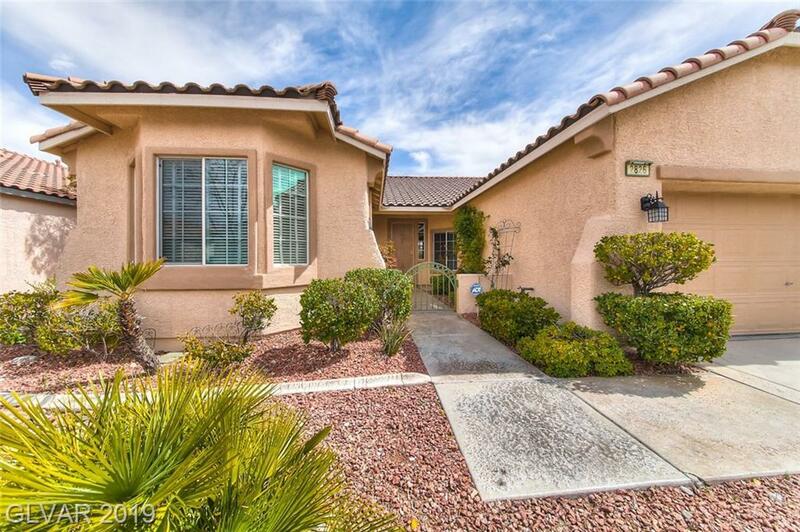 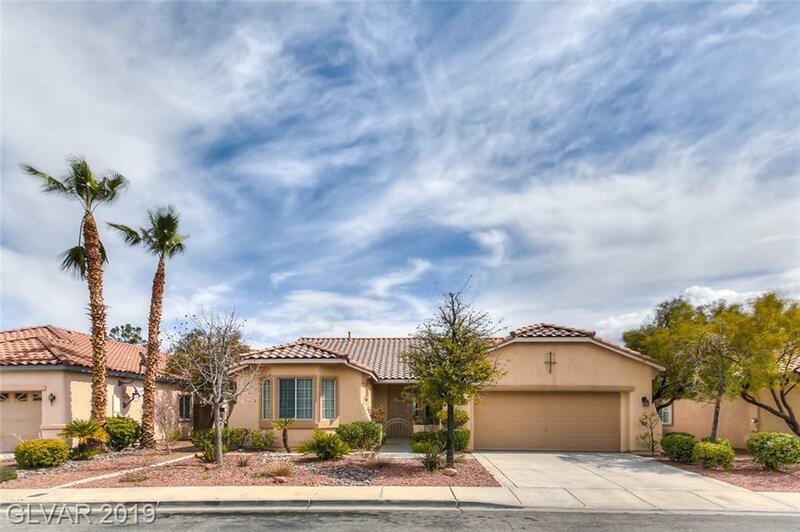 Large Great room w/vaulted celling,open floorplan and a stunning backyard with heated pool & spa, great for entertaining.Close aproximity to Downtown Summerlin, park, recreations, LV Ball Park.